If like me, you've been travelling for any period of time, cultural identity becomes more important. My background has definitely become something of a source of interest, pride even. This renewed interest is cultivated by people prompting me to discuss it. Everywhere I travel, there are always people that want to know about my family history. It's not that I, personally am of particular interest. It's more for the facanct that I come from a place that seems to generate genuine curiosity in others. A little backstory: I'm Irish and I lived in Argentina for 5 years. Argentina has the world's 5th biggest population of Irish descendants, a fact I didn't know until I visited the country. Personalities like Admiral William Brown (founder of the Argentine Navy), Che Guevara (Grandson of an Irish Immigrant), and Violet Jessop (Titanic survivor and inspiration for the character “Rose” in the James Cameron movie), trace their heritage back to the green isle. When in Argentina, people often ask where my family originally comes from. So having been quizzed on the history of Ireland hundreds of times I began to take an interest in genealogy. If you're an Argentine with Irish roots you might find the following resources useful for researching your extended family tree. Full-blown citizens of the old sod will also find some interesting leads in here. At the end of the post are recommended books on the Irish in Argentina. FamilySearch.org allows users to create a sort of social family tree where people can contribute to their collective ancestor's database. The website offers tools for finding passenger information on Irish and UK migrant ships bound for the US, Canada, Australia, and South America. It's worth a look to find out when and how your ancestors made it to the new world. The more detailed results require the paid version. The Ancestry website contains some very interesting resources such as the database of Irish newspapers from 1763-1890 where you can find births, marriages, deaths, and ship departure details. This article from Irlandeses.org gives some statistics on Irish passengers on board ships that sailed to Argentina or Uruguay. This might help narrow things down a bit. Over at Genealogy Branches, there's a great resource of detailed Irish passenger lists going back several hundred years. Some results are better than others, but the research is solid. German Roots is aimed at German genealogists and enthusiasts but also contains specific details about migrant ships that left Ireland. The European History Online website compares Emigration across the Atlantic among Irish, Italians, and Swedes over 150 years from 1800 to 1950. The Irish Genealogical Society International‘s PDF from 2010 has plenty of details about Irish Emigration in the 20th century and contains information on Argentina. The On-line Journal of Research on Irish Maritime History reports on The Argentine Republic Emigration Scheme and specifically the SS Dresden, which left for Buenos Aires in 1889 with 1500 Irish passengers on board. A very interesting documentary (in Spanish) about the descendants of the Irish passengers of the Dresden. Los Descendientes del Dresden – El documental from Juan Pablo Alvarez on Vimeo. There's even a blog called Los descendientes del Dresden which contains a mine of information about the passengers that travelled on this ship to Argentina. Archives of some editions of The Standard, a newspaper edited by Irish brothers Michael George and Edward Thomas Mulhall. The paper was produced in Buenos Aires from May 1st, 1861 to February 5th, 1959. The Biblioteca Max Von Buch at the Universidad de San Andrés is another mine of information about the lives of the Irish (and British) communities in Argentina. The library contains over 100 letters and many photos donated by Anastasia Joyce, which document the life of John J Murphy from Kilrane. The Gaucho Irish is a film produced in 1979 by Radharc which is only available by mail order (€20 to Ireland, €25 to Argentina). The film documents the lives of the mostly Wexford and Meath natives that travelled to Argentina in the 1800s. Although dated-looking, the ArgBrit.org website is a regularly maintained directory of English-speaking immigrants to Argentina and Uruguay. The site contains records of births, baptisms, transcripts from national archives and more. Use the search facility to research family names and get a list of immigrants and personal details such as address and occupation. Roots Ireland has a simple interface that allows you to search by name, surname and year of birth of your Irish ancestors. Unfortunately, the detailed results require a subscription, and it's not cheap. But the results page Irish passenger lists based on your search criteria. This may come in handy for tracing migrations. The Genealogy subreddit on Reddit often has discussions relating to Ireland. I've yet to find anyone talking about Ireland and Argentina but it might be worth putting a question out there if anyone has any specific questions. A few Redditors have asked for help from anyone with access to IrishRoots.ie for information on records. The timeline.ie website claims to be ‘Ireland's leading professional genealogy and historical research company'. I haven't managed to find anything relevant to Argentina but they offer an expert research service. 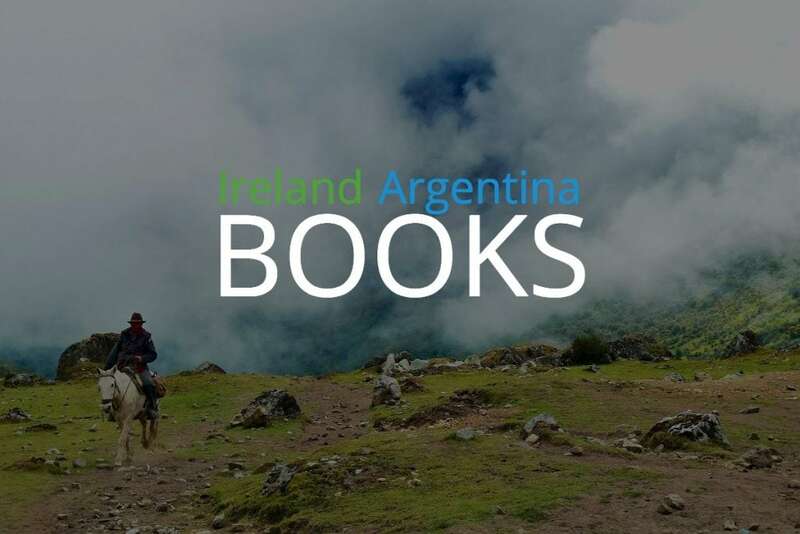 A collection of books of interest to Irish people and Argentinians. Irish in Argentina books are not that common so it's good to see a couple of new ones appearing in the last few years. These books are mostly about famous Irish Argentines and immigration. We recently read the story of the Irish in Argentina by Thomas Murray. It's almost 100 years old but the writing is exceptional and for one thing, the writer was closer in time to the original immigration dates for the majority of Irish Immigrants to Argentina. It's quite an in-depth read with over 500 pages. But there's no fluff here. 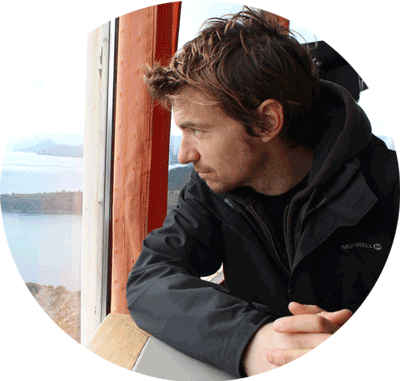 Murray is someone who cares about his subject and he has certainly done his research. Well worth a read. Amazon have a paperback version here but if you want to take it on holidays or receive the book instantly I recommend the kindle version. It's also much cheaper. Father Fahey's life is discussed affectionately and at length. There are also detailed descriptions of the camps that Irish lived in. 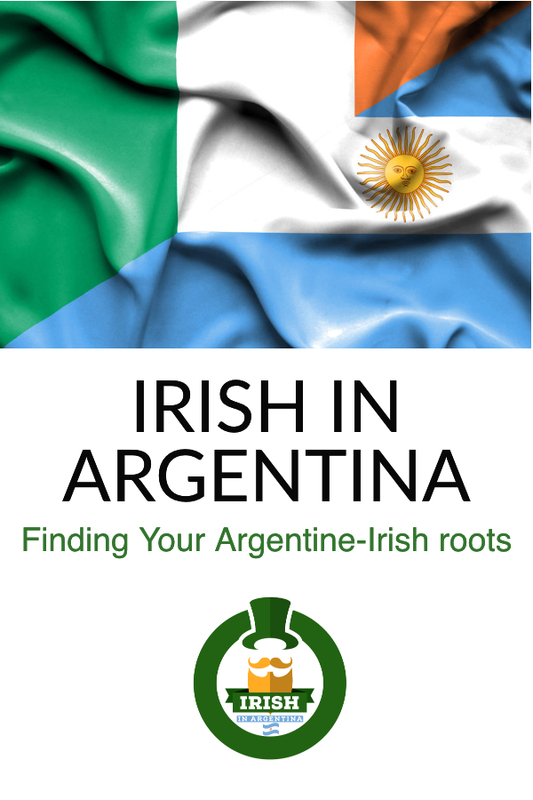 Overall this book gives an insight into the Irish in Argentina which will be hard to beat. Recommended. 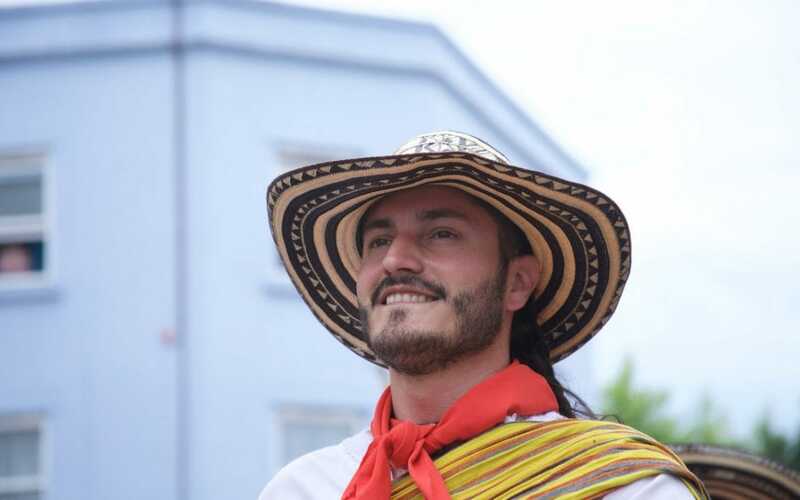 Paisanos: The Forgotten Irish Who Changed the Face of Latin America, published in September 2016, is a book by Dublin journalist and author Tim Fanning about how the Irish transformed Latin America. Fanning discusses revolutionaries like Bernardo O’Higgins and James Rooke and looks at the life of Irish/Argentinian women like Eliza Lynch and Camila O’Gorman. Did you know that the viceroy of Peru was a man called Ambrose O’Higgins? Learn about his story and many others in this fascinating look at Irish culture and Irish personalities that influenced politics and society in Argentina, Peru, Bolivia, and more. A difficult one to get and it's not cheap in hardcover but the 2nd hand paperback version can be picked up for around 10. Well worth a read, the book describes how the Irish integrated into a very English-centric immigrant community in Argentina. 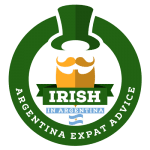 The Irish Embassy's website, which is basic, but straight to the point, contains information about visas, passports, working holidays, and other topics of interest to Irish in Argentina and Argentinians researching for a trip or work experience in Ireland. Many Irish and Argentinians alike are not aware of the Working Holiday Agreement between the two countries and in fact, this information is not easy to find. The Working Holiday Visa for Ireland, also known as El Programa de autorización Vacaciones y Trabajo (WHA) is for young Argentinians who wish to work in Ireland. Irish people looking for information on the Working Holiday Agreement for Argentina check the Argentinian Embassy in Ireland's Working Holiday Visa page.